Here she is - my latest four sided kaleidoscope quilt finally finished. The fabric is by Luella Doss - called Hotflash. I had to really hunt to find the right green for my border fabric. Its wonderful that Thimbles and Threads stock the whole range of kona solids. 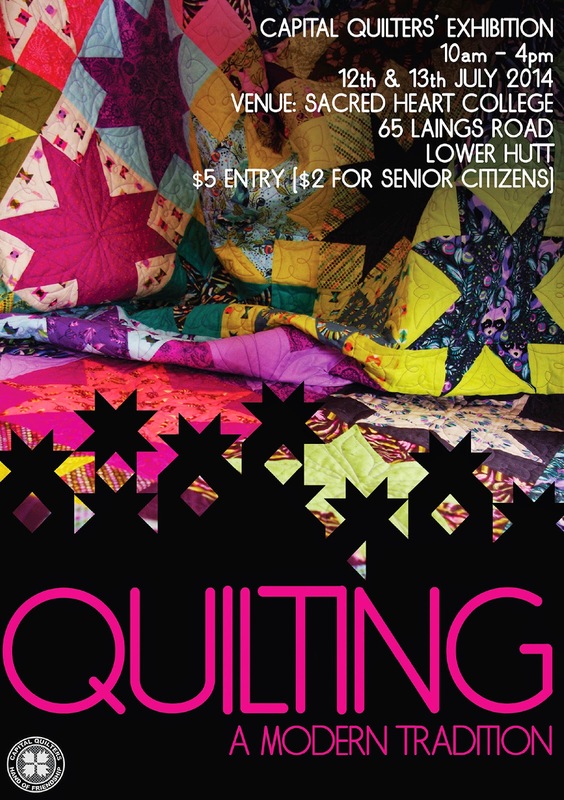 In a couple of weeks Capital Quilters (one of our local quilting clubs that I belong to) will be holding their bi-annual club exhibition. Details below.